West Hollywood, CA (May 13, 2011 | GLOBAL RALLYCROSS CHAMPIONSHIP) -Tune in to ESPN on Saturday at 4:30 p.m. Eastern as the excitement of the Global RallyCross Championship returns to television with the DiRT 3 Global RallyCross Championship: Twin Peaks, presented by Best Buy. The Saturday broadcast features drivers from the top ranks of action sports and rallycross in the United States and Europe as they take on a second-round battle for the inaugural Global RallyCross Championship title - and a chance to earn an invitation to X Games 17 Rally competitions held in downtown Los Angeles this summer. Top drivers including Tanner Foust, BMX and rally pro Dave Mirra, and Formula DRIFT drivers Rhys Millen and Stephan Verdier tear it up on the inventive industrial course near Seattle. Action includes a huge gap jump where cars fly 70-feet through the air - a feature seen only at X Games and Global RallyCross competition - and racing through an industrial warehouse, with the sound of high-power engines ricocheting off the walls. The show will be rebroadcast Saturday evening at 9:30 p.m. Eastern on ESPN2. Rallycross combines the best aspects of circuit racing, off-road racing and rally competition to deliver intense action in a variety of fan-friendly environments. The series benefits from a multi-year programming relationship with ESPN. Competitors will next travel to Colorado at the Pikes Peak International Raceway for Round 3: Last Chance (June 17-18). Ticketing and other information will be available soon at http://www.global-rallycross.com/. Invitations for X Games 17 Rally events will be announced soon after the conclusion of the third round of the 2011 series. Fans can also find the series on Facebook (www.facebook.com/GlobalRallyCross) and Twitter (www.twitter.com/GlobalRallyX) to sign up for a chance to win tickets and other prizes. 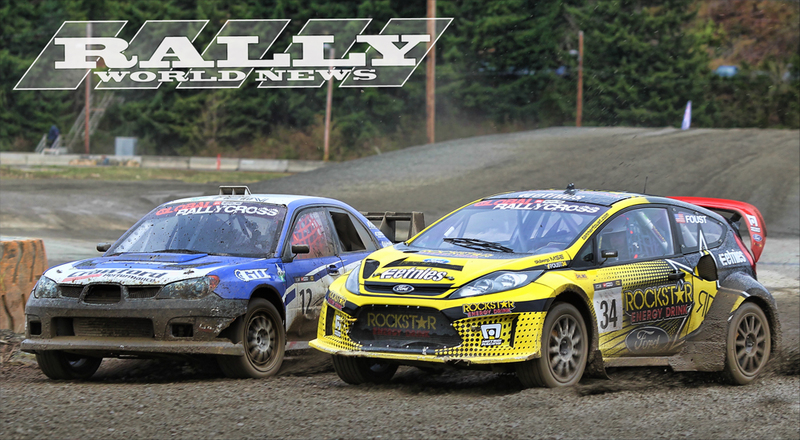 The RallyCar organization sanctions the Global RallyCross Championship events.